Pawn your Hublot Watch - Auction based Loans on Hublot Watches! What makes Hublot watches so valuable? The Hublot brand was created by Carlo Croco in 1980 simply because he desired to make his own watch. The watch instantly became a trend-setter with its innovative and pioneering design. 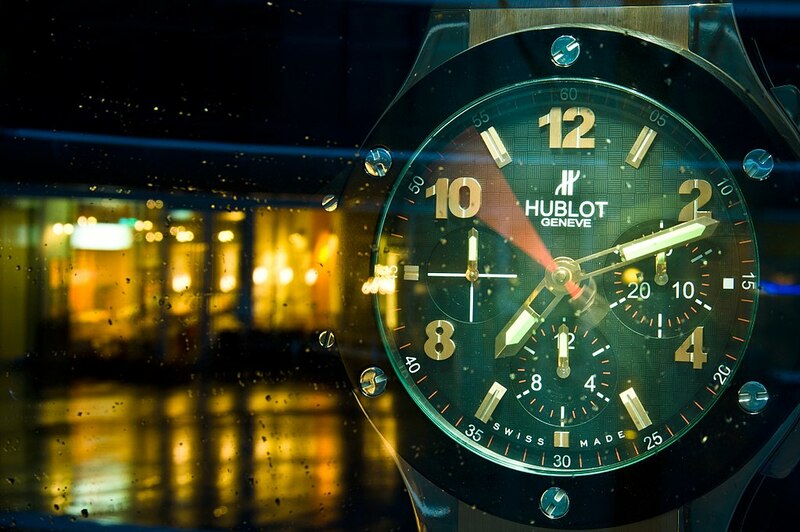 Today, Hublot is renowned for mixing traditional techniques and modern creativity. If you have a Hublot Big Bang watch, then you are likely to get a good amount for it. One was sold at auction in July 2018 for $6,255 after a strong fight between 65 potential buyers. The watch was in a very good condition, but it did not have its original box or warranty papers. In December 2018, a Hublot Big Bang King Power model was also sold at auction. It was a limited edition version with a red dial. It also had no original paperwork or the original box, but it still sold for $18,000. The Hublot Classic Fusion is also a high value watch, especially if you have one of the rarer models. An 18K Rose Gold 42mm version was sold for $13,000 in November 2018. This watch did have its original box and papers, so if you have this in your watch collection, you can expect a high valuation. What happens when I want to pawn my Hublot watch? The first thing we do when you arrange an appointment with New Bond Street Pawnbrokers and ask to “pawn my Hublot watch” is assess the watch to provide a fair and accurate valuation. The appraisal is conducted by our in-house team who has years of experience offering accurate valuations on numerous brands of watches, especially Hublot watches. Our complimentary appraisal will consider many points about your watch. This includes its condition, looking for any restorations that may have been carried out in the past, or where parts may have been replaced if the watch has been repaired. We are also looking for blemishes and dents that could affect the aesthetic appeal of the timepiece. We will also consider the age of the model. Vintage models that are in a good condition can be very valuable, but there are times when more contemporary watch models can generate a higher valuation. However, we don’t just look at the watch itself. If you have any paperwork associated with your Hublot watch then this can help improve its valuation. An original bill of sale will confirm the age of the watch, so if you have the original box and warranty, you should bring these with you. If any work has been undertaken on your Hublot watch, remember to also bring in the service paperwork.